Pakistan Army is the power of Pakistan and career in Pak Army is considered a dream come true for those who lave Pakistan. Every person who joins PAK army feels proud. They serve the nation, the people of the world in every harsh condition. There are shinning career opportunities for youngsters in Pakistan Army. They can serve in Pak Army in a different perspective because there are many jobs for males and females in Pakistan armed forces. Excellent career opportunities in Pakistan Army are offered to the talented youth in different fields. A huge number of students apply for Pak army. There is an organize system of promotion and increment. Officers are promoted through a standard procedure of rules and regulation. You can do online registration at the official website of Pak Army where you have to enter your personal details and after that you will be issued computerized roll number slip in which the test date and time will be given. Online registration is open for the following categories. Qualification: MBBS or equivalent qualifications recognized by Pakistan Medical and Dental Council (PM&DC). 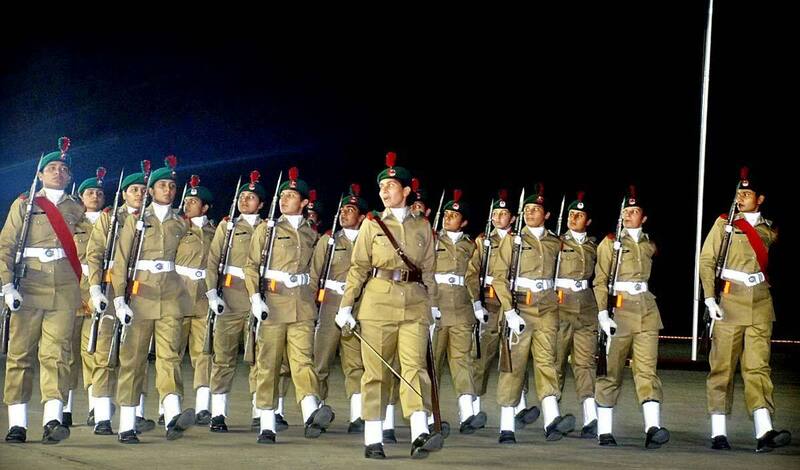 Training period at PMA/AFPGMI: 22 weeks training at PMA and AFPGMI for male and female candidates respectively. Qualification: MBBS with higher postgraduate qualifications i.e. MRCOG, FCPS (Pak), FRCS, MS American Boards/ Certificate or equivalent in respective fields of specialties. Training Period at PMA/AFGMI: 22 weeks training will be given at PMA and AFPGMI for male and female candidates respectively. Rank: Lower Postgraduate (MCPS, various Diplomas) qualified candidates shall be granted rank of Captain. Software Engineering / Information Technology. Registration through Internet: Candidates can register themselves on the official website of Pak Army www.joinpakarmy.gov.pk . It is necessary that the candidate should have an email account because date and time of the test will be informed there. The candidate should report on exact time and date given on the computerized roll number slip. Once given date would be considered final and will not be changed. Candidate should bring the desired documents in the centre. It is necessary that the candidate should have working knowledge of computer because test will be conducted on computer. Registration at AS & RCS: If the candidate is unable to do online registration then he can register his name at the nearest AS&RCs for registration / allotment of roll number along with necessary documents. The same documents would be required on the test day. Selected candidates will be called for interview. Medical examination of recommended candidates will be carried out at nearby CMHs. The final selection will be made at GHQ on the basis of candidates overall performance and then selected candidates will be issued call letters to join Pak army. i’m doing master in biotechnology can i apply in pak army? I want to join Pakistan Army. My age is 24. height is 5.8″ I have done my Masters (M.com Marketing) from UAF and playing cricket from PCB and running my Music Band. Any opportunity for a telanted person? Aoa,i am Seema shabir from very back world and Monterir area shangla kpk here people still living there life life stone stage and leading extreamly poortry .in this society I faced and fight all the problems and complete my study I have done msc genetic and wants to join my Pak army so have any opportunity for me so kindly informe me I m waiting thanks. Ma na ms.c sociology ki hy kea pak army join kr sakti hu mujy boht shoq hy pak army ma jany ka.plzzzz agr mare like kio post hy tu mujy btye ga…..waiting. I want to join Pak Army. I recently completed my Masters Degree program in Public Administration (MPA). May I be eligible to join Pak Army as a Captain? Aoa I have also done MPA and i am looking for a job in army have you got any information related to it. Can you please share.